What If Qatar-Gulf diplomatic rift could not be resolved early! Qatar-Gulf diplomatic rift has passed two weeks and yet it seems as if it is not going to be resolved quickly. Apparently, it seems a lose-lose situation for Qatar and Gulf Countries who severed diplomatic and in fact economic ties also with Qatar, but it is affecting more, tiny but economic giant Qatar. Though Qatar is affirming that it can live in current scenario forever, but on the other side it is crying more to get this issue resolved quickly, clearly depicting that Qatar has to pay more price because of this rift rather than its Gulf adversaries. Here is a summary of a few impacts of this prolonged spat. 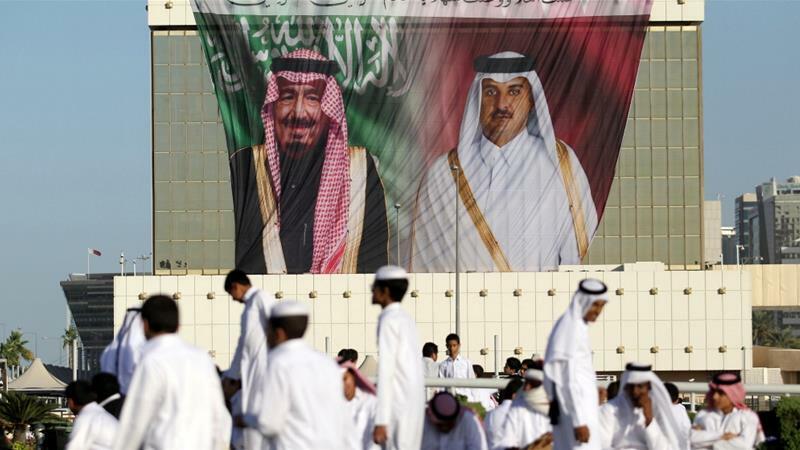 Its fact that all GCC countries, United Arab Emirates, Bahrain, Qatar, Kuwait, Oman were enjoying good political, strategical and economic positions regionally and globally under the umbrella of Saudi Arabia. In such conditions, regional isolation of Qatar will also affect its status globally also. Qatar struggles to increase its influence bypassing other GCC countries especially Saudi Arabia has proven a blunder for itself. To counter any aggression in future Qatar has to not only spend heavily on the procurement of weapons but also it has to design a stronger local army, and keeping a stronger local army may uproot monarchy or any government as seen in past in cases of Egypt, Iraq and many other countries. Qataris have to get familiar with less-liked products from Turkey, Iran and other countries if blockade of land border with Saudi Arabia continues. Twenty percent of Qatari population is Shia. Iranian influence in future may cause Shia upsurge and in this way, Qatar may become the victim of political destabilization. Qataris need to learn a few lessons from Yemen and the Syrian crisis. This could be devastating for both Qatar and Saudi Arabia. Increased Turkish military deployments in the region will also cause a negative impact, especially for Saudi Arabia. There was a time when Saudi Arabia was a part of Turkish Ottoman Empire from 1517-1918. Turkey has already military bases in Syria, Iraqi Kurdistan area, and Somalia. Now it is going to deploy troops in Qatar. There is news emerging that Turkey has also offered Saudi Arabia for the establishment of its military base in Saudi Arabia but Saudi authorities declined this offer. Pakistani troops are already stationed in Saudi Arabia under a 1982 agreement. Maybe, Saudis consider Pakistan more trustable ally as compared to Turkey. Saudis will not be pleasant to be surrounded by Turkish Military Bases in the region. Although Qatar has announced that it will not cut off gas to the United Arab Emirates despite a diplomatic dispute, in prolonged tensions, if Qatar does it even under influence of its new allies and trading partners then it will cause huge problems for UAE. The Dolphin gas pipeline links Qatar with the UAE and Oman and pumps around 2 billion cubic feet of gas per day to the UAE. If Saudi blockade of Qatar continues, Iranian influence may drive in more Iranian-backed Hezbollah activist into Qatar and hence it may cause an increase in terrorist activities in Saudi Arabia. The Early solution for this rift is beneficial to the whole region including all GCC states. Give and take policy should be adopted by both sides weighing more towards Saudi Arabia but Saudis must be flexible towards Qatari also.